Granite is an Igneous Rock and makes for a great counter top Stone as it's a very good quality product, hard to mark, impervious to almost all chemicals and almost always comes with a highly polished finish, the exception being Flamed Granite which is a lot rougher. 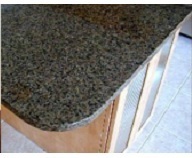 To maintain Lustre and Patina on glossy Granite or Marble worktops use the Stone Patina Spray. 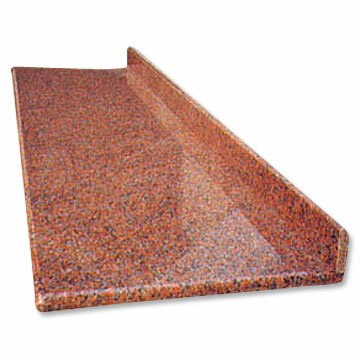 Recommended for use on all polished stone counter-tops, tabletops, and non-traffic surfaces. Mainly used on an Outdoor area, as it very tough and hard wearing and can be used in commercial as well as domestic installations. Cleaning Polished Granite is not for the faint hearted and you can actually make it look worse, its best to call out a professional tile cleaner such as a Tile Doctor to help you re-polish these type of tiles, luckily the polish on Granite can last far longer than on most stones and as a result will require a lot less maintenance. If you have the use of a slow speed buffing machine (150 rpm or slightly higher) then you can maintain the shine to a good standard using this fitted No 4 Green burnishing pad. For regular cleaning use a sealer friendly cleaning product such as Neutral Tile Cleaner which has been especially formulated for the regular cleaning of Sealed Stone and Tile surfaces keeping them fresh with a pleasant mint scent. Alternatively we have a new product called Stone Soap which a blend of Ph Neutral cleaners and as well as cleaning a Polished Stone also adds a nice patina to the stone which protects the factory applied polish. Seal Flamed Granite with a single coat of Tile Doctor Colour Grow (internal or external), for Polished Granite we would recommend a single coat of Tile Doctor Ultra-Seal, this needs to be polished off after being applied with in 5 to 20 minutes of application.